From the rebirth of the Trans-Pacific Partnership after the withdrawal of the United States (US) to Britain’s on-going quest to strike its own trade deals following Brexit to current renegotiation of the North American Free Trade Agreement, global trade continues to dominate news headlines. Now more than ever, it is vital that businesses understand how to make the most of international trade agreements. While each is different, the ways in which businesses can use them are common. As such, they need to be able to recognise the position they occupy with regard to global trade, as trade agreements are likely to impact costs and the ability to deliver to customers and clients. 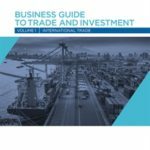 Comprising a brief history of the world trading system, an outline of how industries can obtain relief from imports causing them harm, and an overview of government procurements, this informative handbook offers business leaders 13 chapters of unique insights. Written by practising lawyers, the guide endeavours to help them take the helm in pursuit of global economic growth and prosperity. To connect theory to practice, case studies are also included. Three illustrate how the World Trade Organization’s dispute resolution system was used to remove trade barriers for US livestock importers, Indian cotton-type bed linen imports and the alcoholic beverage market and a fourth showcasing how large and organised industries, such as US and Canadian lumber, can use trade remedy laws to inhibit trade and protect their interests. 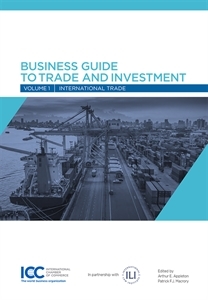 The “Business Guide to Trade and Investment” is available for purchase at the ICC Store.